Connoisseur Concerts presents its annual Mozart on a Summer's Eve concert, coming Tuesday, July 18 and Wednesday, July 19, in Manito Park, on the lawn East of Duncan Gardens off Tekoa Street. 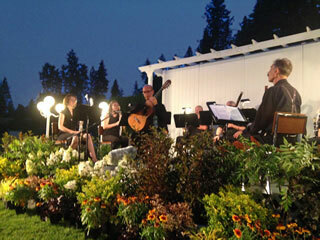 This year marks the 27th year of Mozart on a Summer's Eve, and presents Magical Musical Evenings - An Evening In Tuscany. The first half of the program presents Northwest Bach Festival Artistic Director and 2017 Triple Grammy Winner cellist Zuill Bailey with guest artists Paul Rosenthal, violin; Scott Rawls, viola; performing with him and three members of the Spokane String Quartet, Amanda Howard Phillips, violin; Jeannette Wee-Yang, viola; Helen Byrne, cello in the Tchaikovsky Souvenir de Florence. The second part of the program features Verne Windham directing Connoisseur Concerts Wind Ensemble with special guest artist, the Metropolitan Opera Soprano Danielle Talamantes performing Italian arias in this program called An Evening In Tuscany. Tickets available for lawn seating. Reserved table seating tickets are sold out. The area opens at 5:30 for pre-concert picnics. Concert begins at 7pm. Visit the website for more information and to purchase tickets, www.mozartspokane.com, or call Connoisseur Concerts at 509-326-4942. 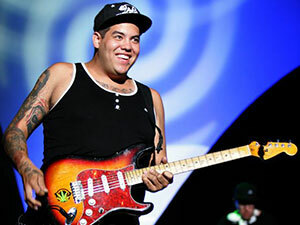 Sublime with Rome rocks Northern Quest this Thursday, July 6 at 7:30. And from 3-4pm on Thursday you can come meet lead singer Rome Ramirez and hear him do an acoustic set at Cinder's downtown store, 2nd and Monroe. This summer the Northwest Museum of Arts & Culture becomes a working television production studio and a celebration of the dozens of local artists behind the hit Syfy TV series 'Z NATION.' Museum visitors will be able to watch scenes being shot for Season Four of 'Z NATION,' using the galleries as sound stages and the grounds as set locations, and learn how a real television series is made. Visitors will also learn more about the local crew members that have taken their passion and talent for art and turned it into careers in filmmaking. 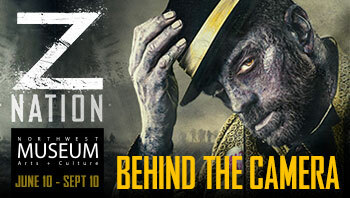 Plus, signature props and costumes from the show, amazing special make-up effects and masks, interactive displays about the process and tools of film production, along with the history of 'Z Nation' and zombie lore. The exhibit runs through September 10. There will be a special program this Sunday, July 9, 'Welcome to the Apocalypse', which runs from 2-4pm. This is the first of three special summer programs in support of the Museum's exhibition of Z Nation. In this initial program, Z Nation cast and creators will be available for the audience to ask questions. Writers and cast will also discuss the upcoming Season Four of 'Z Nation,' the best way to kill Zombies, and filming in and around Spokane. Meet members of the cast and creators. The show runs from July 13-30. For performance dates and times, and to purchase tickets, visit www.cdasummertheatre.com. 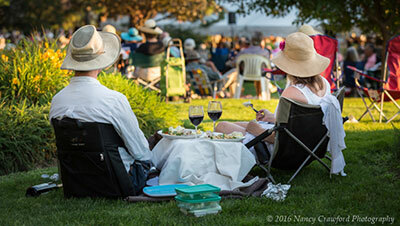 The Spokane Symphony creates summer magic on the lawn of the Cliff House grounds of Arbor Crest Wine Cellars for two August nights. Enjoy beautiful music paired with wonderful wines in a beautiful setting. Picnic options available for purchase, or bring your own and savor the summer sunset. Ages 21 and over. The first concert is Wednesday, August 9 at 7pm, with Morihiko Nakahara conducting, featuring works by Mozart, Caroline Shaw and Akira Nishimura, concluding with Beethoven's First Symphony. The second concert is Wednesday, August 23 at 7pm, with Morihiko Nakahara conducting, featuring music by Stravinsky, Andy Akiho, Christopher Theofanidis and Dvorak. The Soiree on The Edge Season tickets are available at the Box Office of Martin Woldson Theater at The Fox, or by calling 509-624-1200. They are also available online and at www.ticketswest.com or 800-325-SEAT. 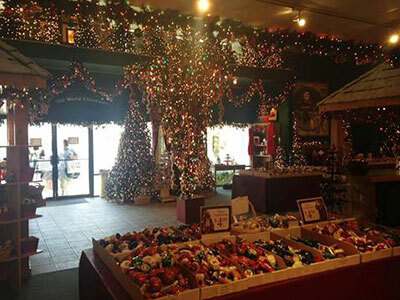 The Old World Christmas Factory Outlet Store will open today, July 5 for their annual 'Christmas in July' sale. Stop by for great holiday ornaments, well below wholesale prices. The sale is at their Factory Outlet store, 4005 E Main. This week's free movie at the Garland Theatre, now through Friday, July 7 is 'Rock Dog'. Movies begin at 9:30am, doors open at 9. From July 10-14, the free film is 'Secret Life of Pets'. For a complete listing of other films at the Garland Theater and more free summer movies, visit garlandtheater.com. Wednesday, July 12 at 5:30, one of the region's best bands, The Stepbrothers, featuring former Rare Earth front man Peter Rivera and some local All Stars, play old school funk, blues and soul at Coeur d'Alene's Parkside Buildling, 601 Front street across from McEuen Park. The legendary outlaw of music, Willie Nelson will be at Northern Quest's Summer Concert Series, Tuesday, August 8 at 7:30pm. Joining Willie is one of country music's newest stars, the Grammy award-winning Kacey Musgraves. 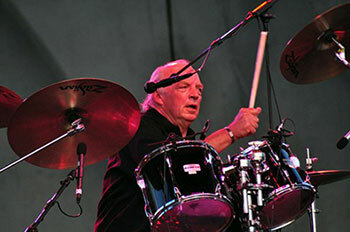 This Thursday, July 6, Bill Bozly performs bluesy folk rock. Paper Mosaics by Karla Lautenbach and Metal & Glass Art by Tin Fish Studios will be on display. Music runs from 5:30-7:30, $5 admission. This Sunday, July 9, Rhythm Dawgs will perform rock hits. Music runs from 5:30-Sunset, $10 admission. Art on the Street is a free art-making event that is held during the summer. Several 8-foot easels are placed in front of the Spokane Art School and a well-known local artist facilitates an impromptu drawing/art session. This Saturday, July 8, Karen Mobley is guest artist. On Saturday, July 15, the artist is Tom Quinn. Both days the session runs from 1-3pm at 811 W Garland. 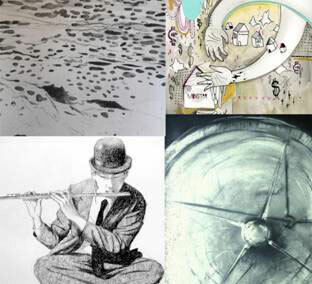 Visit spokaneartschool.net for more details or call 509-325-1500.